Facial serum ingredients can include oils, acids, and many other different ingredients. Like most products, you'll find natural options and not-so-natural ones. Since using a facial serum is such an important skincare step, it's crucial to make sure you're using the right one. If you really want to take the custom approach, you might consider making your own facial serum. Ingredients can be tailored to fit your exact needs. The first two options will make your project a lot easier. 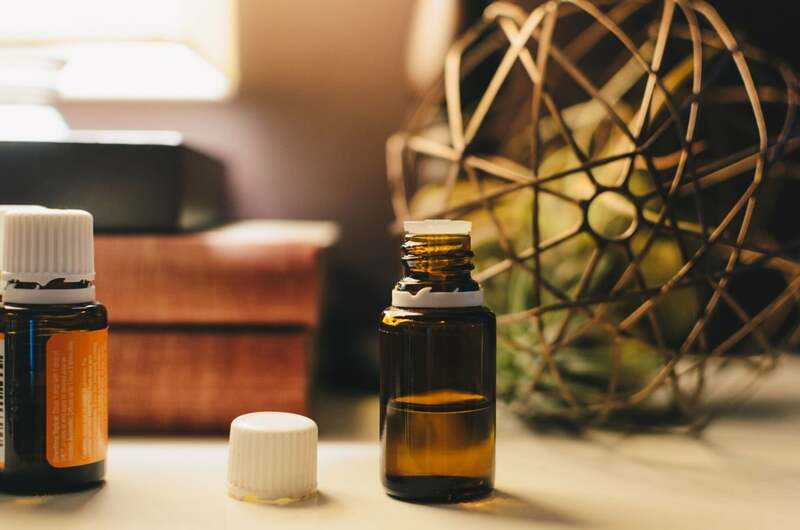 Emulsifiers aren't ideal in a serum, anyway, since they are usually more of a “filler” ingredient – not something we want in what is supposed to be a highly concentrated product. I prefer to just stick with creating an oil- or water- based serum since it's easier to create a more shelf stable product. Oils to consider including in a facial serum include jojoba, and argan oil, which are all great for repairing dry skin. These are all high quality, nourishing oils with the most bang for your buck when it comes to vitamins, minerals, and fatty acids. Essential oils are also beneficial ingredients for facial serums, due to their various beneficial properties that promote skin wellness. For example, lavender is often used in skin products, due to its ability to treat inflammatory conditions, such as acne and psoriasis. Also, rose oil and tree oil are commonly used. One acid you'll see in serums is salicylic acid, which is great for treating acne, as well as blackheads.The acids you see used in skincare are usually (but not always) soluble in water. (You can ask about specific ones in the comments for help.) Alpha- and Beta hydroxy acids (AHAs/BHAs) are also used and in fact are great in serums as opposed to cleansers and such, since they need to sit on the skin for a longer period to create results. Gels used as facial treatments include aloe based gels, which are helpful in treating dry and itchy skin and acne. They're typically very soothing, which make them great options for sensitive or inflamed skin. Lastly, various extracts are also typical components used in facial products. For example, rosehip extract has many benefits, such as its abundance of vitamin C. Rosehip extract can be used for promoting elasticity of the skin and also can have a calming effect. Other extracts commonly utilized for skin problems include chestnut, almond, and chamomile, all of which have healing properties that can improve the skin's overall condition, as well as appearance. 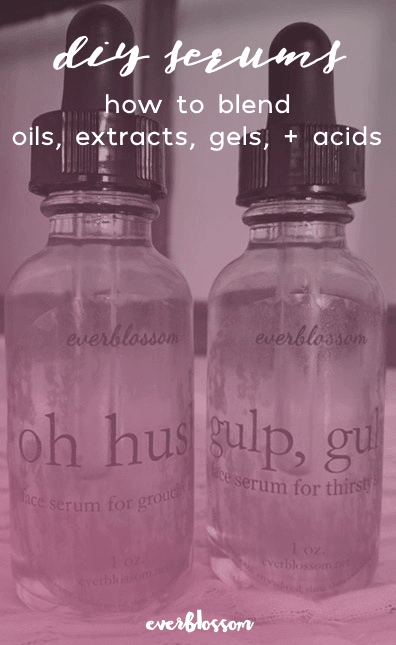 Have you ever made your own facial serum? You're welcome to share your favorite ingredients and formulations in the comments! I currently make a face serum for mature skin using Rosehip Seed Oil as the base, frankincense EO, Helichrysum EO and lavender EO. I’m waiting to buy Rose EO and geranium EO, when I can afford them, to add to the serum. So far the serum feels good but I haven’t seen any big difference.